There is never a reason to be bored in Ontario, Canada. Don’t have money? No problem! Everyone, from those who love the outdoors, to those who enjoy a good show, is welcomed with open arms. Starting with beer enthusiasts, visitors to Toronto can head over to the famed Distillery District and get one of thirteen specialty beers on tap at the Mill Street Brewery. Not only are the beers fantastic, but the Brewery also serves some of Ontario’s best pub-style meals, like burgers and fries. Sit on the patio and enjoy the view while you try some of the best beer and food you ever had! The Distillery District is made up of a collection of historic Victorian industrial buildings that now house restaurants, cafes, shops, and more. The area has been designated one of Canada’s National Historic Sites. Even though The Capital City has many museums, the Rideau Canal is really one of the highlights of a trip to Ottawa. You can stroll, bike, jog, and in winter, skate on it. It’s truly a unique natural landmark not to be missed. Along with the Parliament Hill, the Rideau Canal is the best bang for your buck! 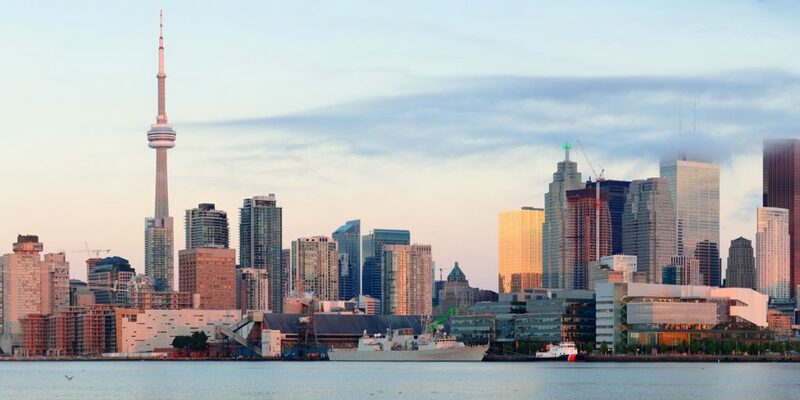 If you want to take it easy, the Toronto Inner Harbour and Island Cruise ($23) provides an educational tour of parts of Toronto one might not otherwise get a chance to see. This educational tour makes a stop at Centre Island, where one can enjoy all that the island has to offer. One of the world’s largest zoos is in Toronto. The Toronto zoo is known for its involvement in conservation and environmental causes, and the animal habitats are some of the most well-researched and authentic in the world. The zoo provides activities for people of all ages and is one of Canada’s most popular attractions, offering seven different geographical “regions” showcasing a number of native animals from each. Take a visit and see everything from rescued penguins to crocodiles residing in authentic, and well-maintained habitats. For a unique dining experience, or just to grab a trendy drink, check out LopLops in Sault Ste. Marie. LopLops is lauded as one of the best atmospheric bars in the area. LopLops is a combination lounge and art gallery, where you can listen to live music while you try out some of LopLops award winning wines and liquors. LopLops also serves craft beers from numerous microbreweries in Ontario. No matter how strapped you are for cash, Ontario offers activities for everyone. Toronto has tons of great museums, and many offer “pay-what-you-can” hours on Wednesdays and Thursdays. This means you can check out the Museum of Contemporary Canadian Art, and the Bata Shoe and Textile Museum for a price you choose. Even better, the architectural gem that is the Art Gallery of Ontario offers free admission during certain hours every Wednesday. For a unique shopping experience, head over to the St Lawrence Market. The market boasts over 50 specialty food vendors. Visitors rave about the choices of premium pastas, sweets, and cheeses. The second floor of the market is home to the Market Gallery, which displays local historical relics and paintings. It’s easy to have a unique and special experience in Ontario without spending much at all. Ontario’s artistic and multicultural atmosphere is second to none and for a lot less money.